HomeRiva 86 Domino rally still going, find out why? The clean, winning lines of this 26 metre open, designed as usual by Mauro Micheli and his tem at Officina Italiana Design, immediately impress anyone laying their eyes on her for the first time. Her well-balanced beauty is shown in her special personality, through which the aggressiveness which characterises all Riva opens transpires. This model is enhanced by the new Metallic Ice colour covering hull and deckhouse thus creating a spectacular, high-impact effect. 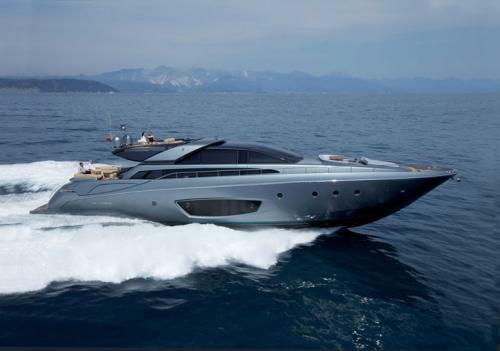 Designed mainly for owners who love sporty lines which in no way affect the yacht’s style, the new Riva 86’ Domino is an evolution of the 63’ Vertigo and 68’ Ego Super models. 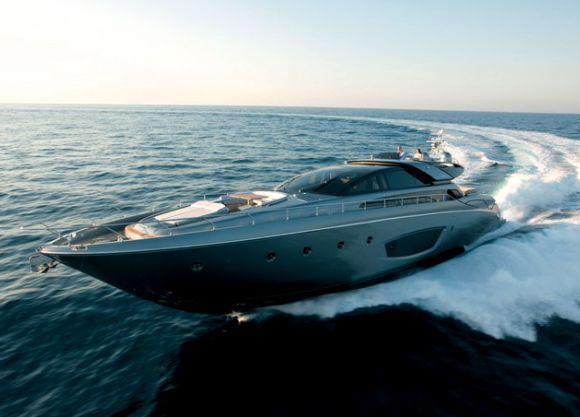 Guests can enjoy much more space, and a number of different areas for socialising, characteristics which make this yacht ideal for both long cruises and daily life on board. 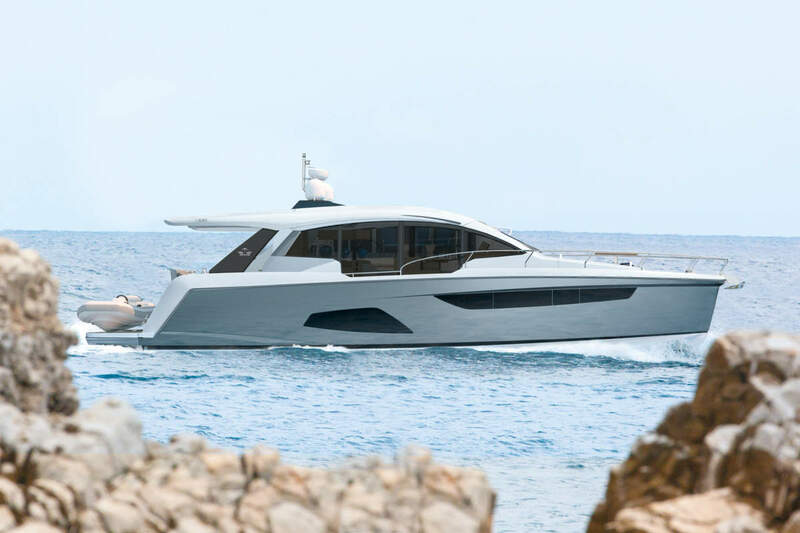 As already experimented on 92’ Duchessa, a large sundeck at bow features a dinette with a table for 6, whilst another table, which can also seat 6 guests, and a comfortable sofa, are located in the cockpit. 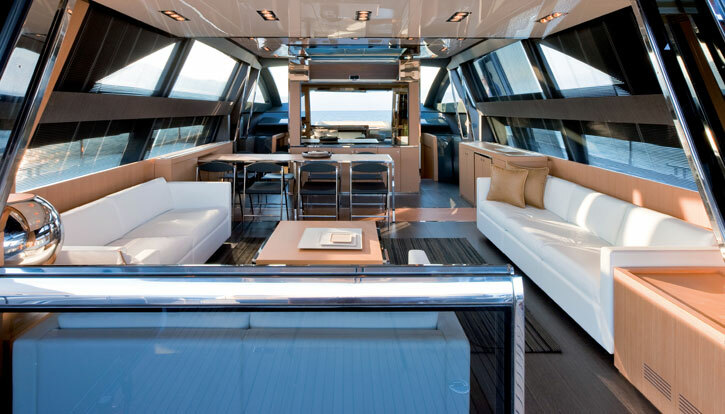 The closed, air-conditioned upper salon, creates an open space area with the dinette, and is separated from the helm station by a large LCD television. This solution guarantees the passage of natural light both through the large side windows and the windshield, fully lighting this area. The design of the furnishing elements, and the choice to match the special shades of elm and grey durmast with natural-coloured leather inserts and grey lacquering make this an attractive, welcoming environment, emphasising the spaciousness. The fully-equipped galley is located on a mezzanine level, and accessed from the left hand side of the helm station, whilst the crew cabins (for 4 people) are accessed from the stern cockpit. They feature a head and dinette, guaranteeing total privacy for owners and their guests. The special design of the large window in correspondence with the full beam master cabin located amidships follows the surfaces of the hull, integrating into it perfectly and ensuring as much light as possible in this environment. 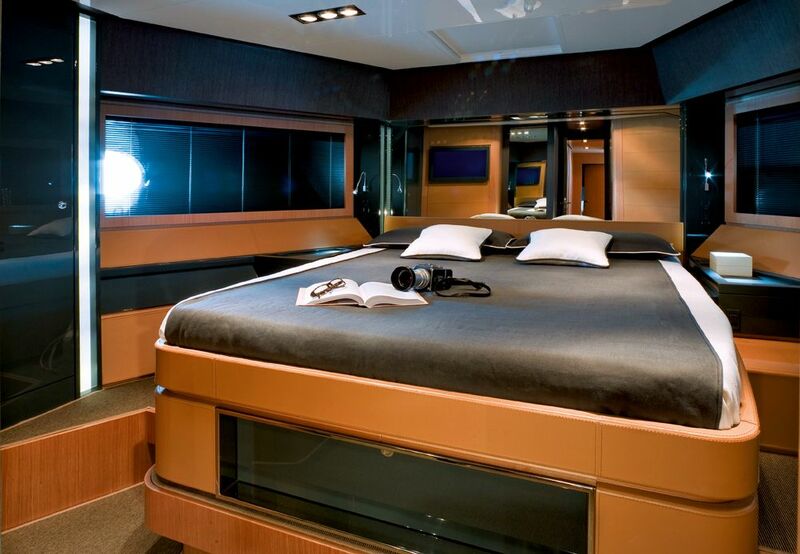 Equipped with an en-suite head and walk-in wardrobe, the master cabin also has a private living-room area and vanity. 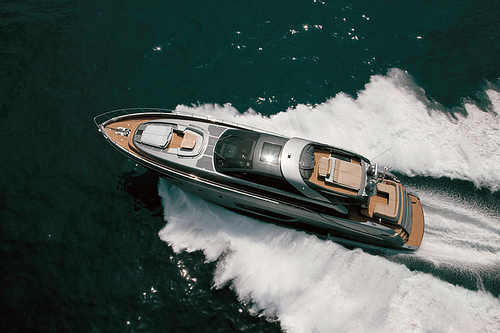 The VIP cabin, with en-suite head, is located at bow, whilst two twin-bedded guest cabins with en-suite heads, are located between this and the master cabin. The portside guest cabin also features a system of sliding beds on tracks that allows to transform it into a second, double-bedded cabin. 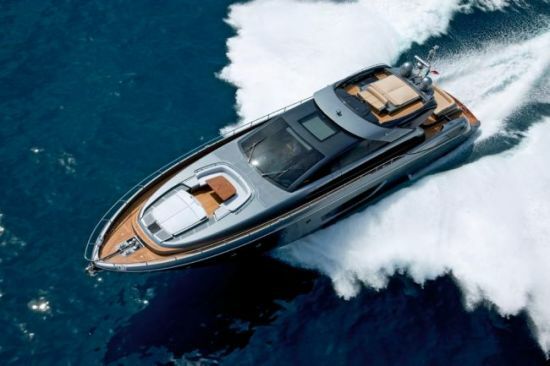 Fitted with twin 2435 hp MTU engines and a system for managing and controlling all on board functions, Riva’s new 86’ Domino guarantees an excellent performance and total cruising comfort, reaching a top speed of 38 knots and a cruise speed of 34, the 86 Domino is a Sports Yacht that’s sure to be another hit with Riva enthusiasts. Love Riva yachts and the 86 is a true classic from them, had a look round one at the rome boat show, she was a beautiful site, great work Riva!